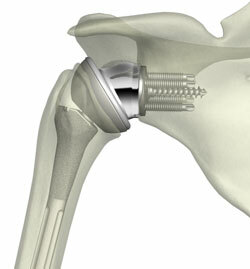 If you suffer from debilitating shoulder pain, the Reverse Shoulder Prosthesis may offer you hope for relief. 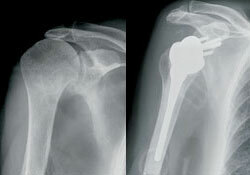 In a normal shoulder, the joint is supported by the muscles that surround the shoulder. Shoulder movement is created and controlled by delicate interactions of 30+ muscles, tendons and ligaments. The rotator cuff is a group of muscles and tendons that enables the arm to be lifted, reach overhead and do activities such as throwing and swimming.